Your car can't transport you to other worlds, but it could help us understand them. 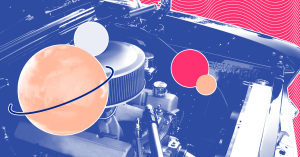 The next time you’re stuck in a mundane traffic jam, find some excitement in your car engine’s secret identity: it’s actually not so different from the exotic exoplanets in our universe. Seriously. Stay with me here. French astronomers discovered that computer models used to simulate how car engines emit pollutants could also be used to model hot exoplanet atmospheres. The planets in question are scorching goliaths. They’re the size of Neptune or Jupiter, but orbit 50 times closer to their star than Earth does the Sun. This gives them hydrogen-rich gaseous atmospheres of 1,000 to 3,000 degrees Celsius (1,832 to 5,431 degrees Fahrenheit), which whip around at speeds of 10,000 kilometers (over 6,000 miles) per hour. Under such intense (to say the least) conditions, scientists historically had trouble modeling what chemicals might be found in these atmospheres. As the hellishly hot, insanely fast gasses swirl, they interact in unusual ways – creating chemicals that don’t fit the typical models astrophysicists use to simulate planets. Almost shockingly, these extreme temperature and pressure conditions are not so different from those found in car engines. Car engine pollution models can examine temperatures over 2,000 degrees Celsius, along with a wide range of pressures. This makes them flexible enough to study warm exoplanets, too. 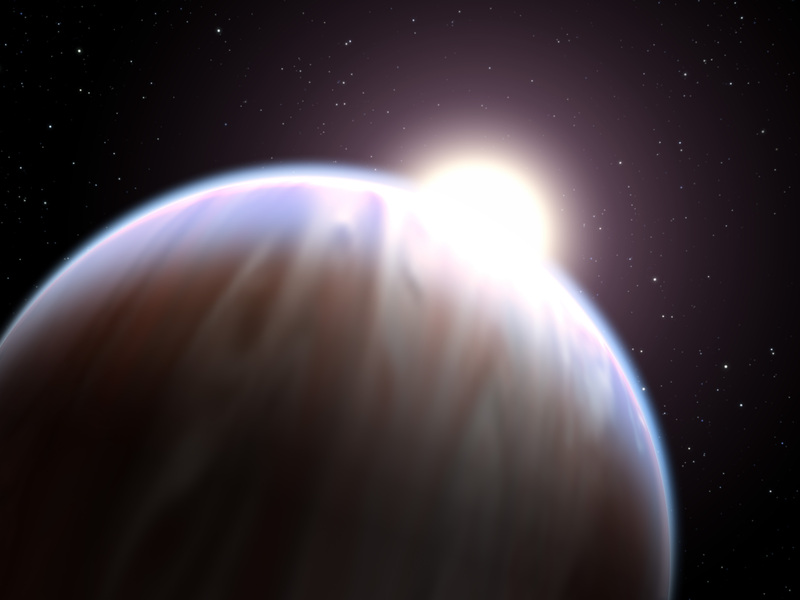 Since 2012, the research team has used these models to create simulations of the atmospheres on hot Jupiters and warm Neptunes, which were then made available to the astrophysics community in an open-access database. The next step for this research will be to incorporate data from research at particle accelerators, which can provide information on how molecules absorb ultraviolet light at the extreme temperatures of exoplanets — data that was previously only available at room temperature. “Other fields of research have an important role to play in the characterization of the fantastic diversity of worlds in the Universe, and in our understanding of their physical and chemical nature,” explained Oliva Venot, a lead authors and a researcher at Laboratoire Interuniversitaire des Systèmes Atmosphériques (Interuniversity Laboratory of Atmospheric Systems), in a press release. These models could help scientists figure out how these far-away exoplanets work without ever being able to reach them. After all, at the moment, our car engines can’t yet transport us out to distant worlds. But they could get us a little closer to understanding them.